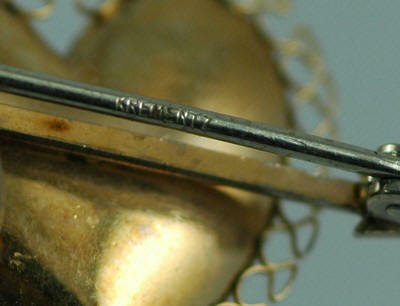 Founder (s): Krementz and Lester families in 1866. 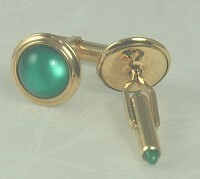 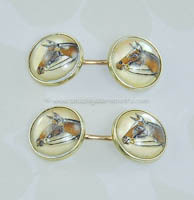 In the beginning the company produced cuff links, buttons and other men's accessories. 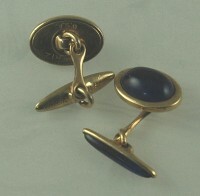 Note that in the ads below, cuff links are being marketed along with their costume jewelry! 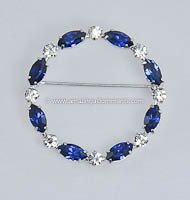 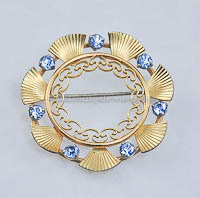 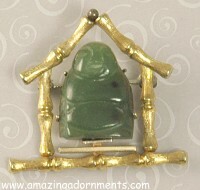 During the late 1800s, the company began to produce accessories for ladies. 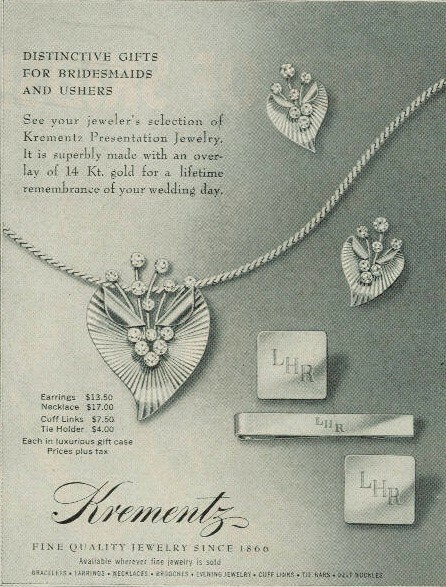 In the 1930s, Krementz began to produce women's jewelry. 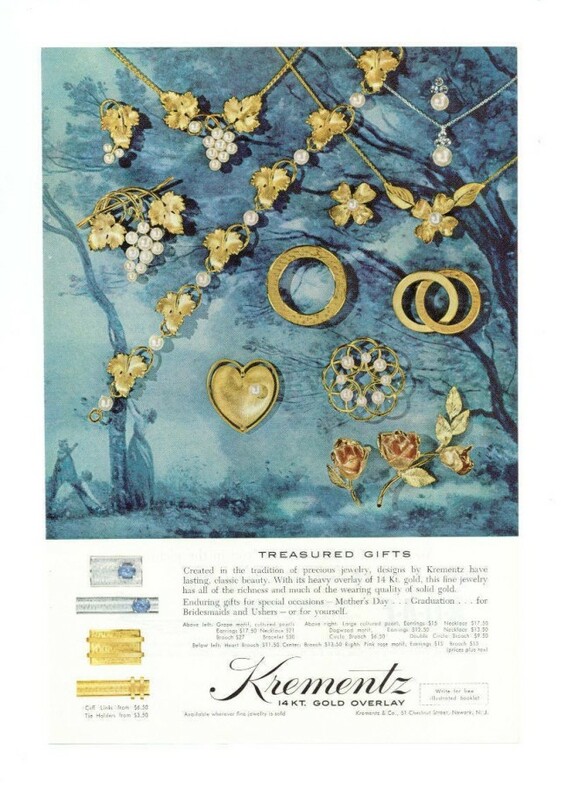 Krementz produced fine jewelry and jewelry that looked "real". 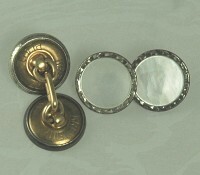 The two families parted ways in 1936. 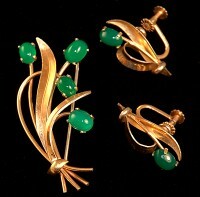 During the 50s the company sold a large amount of costume jewelry. 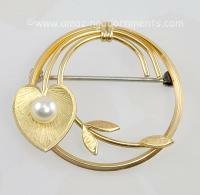 The costume jewelry business was sold in 1997, however the fine jewelry business still exists. 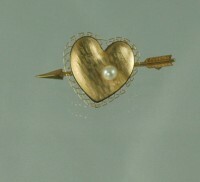 Signature Designs and Techniques Used: Developed a technique of 14K and 10K gold plating - a distinctive overlay process all their own. 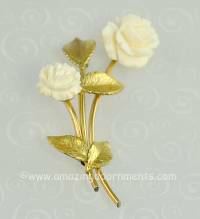 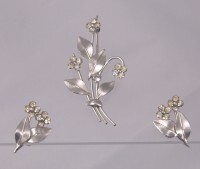 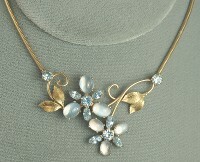 Delicate jewelry, white and yellow gold jewelry, use of leaves and roses.